Brad Hintz is an Adjunct Professor of Finance at New York University's Stern School of Business. He recently retired as the Equity Research Analyst covering the capital markets, exchanges and asset management industries at Sanford Bernstein & Co., a position he held since 2001. For the last 11 years, he has been nationally ranked by Institutional Investor Magazine and by Greenwich Research Associates. 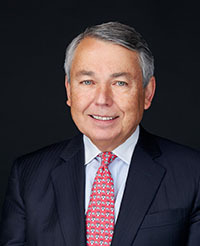 Prior to joining Bernstein, Mr. Hintz spent 13 years on Wall Street, serving for three years as the Chief Financial Officer and Managing Director of Lehman Brothers Holdings and for 10 years at Morgan Stanley Group as a Partner of that firm and its Treasurer. Formerly, Mr. Hintz was Vice President and Treasurer of Anderson Clayton & Co. - a Fortune 200 consumer products company. He also was Group Vice President at The Northern Trust Company and served in various financial positions at Standard Oil of California. Mr. Hintz holds a Bachelor of Science degree in Industrial Management from Purdue University, a Master of Science degree from the University of Southern California, and a Master of Business Administration from the Wharton School. Mr. Hintz also serves on the Board of Leaders of the Marshall School of the University of Southern California. He is a Lieutenant Commander in the U.S. Naval Reserve.